Nadine Gordimer, who was awarded the Nobel Prize for Literature in 1991, is the leading lady of letters in South Africa. Through her fiction and non-fiction writings she has captured the despair and the triumph of a country that went all the way from the ignominy of apartheid to the heights of Nelson Mandela’s presidency. In this conversation, Gordimer speaks with Michael Skafidas for the WorldPost about the disillusion of post-Mandela South Africa, her distrust of the digital era and her decision to retire from writing fiction. Author Cormac McCarthy, 76, talked about love, religion, his 11-year-old son, the end of the world and the movie based on his novel ‘The Road.’ He was just getting going. Novelist Cormac McCarthy shuns interviews, but he relishes conversation. Last week, the author sat down on the leafy patio of the Menger Hotel, built about 20 years after the siege of the Alamo, the remains of which are next door. The afternoon conversation, which also included film director John Hillcoat of “The Road,” went on ’til dark, then moved to a nearby restaurant for dinner. Dressed in crisp jeans and dimpled brown cowboy boots, Mr. McCarthy began the meal with a Bombay Gibson, up. The 76-year-old author first broke through with his 1985 novel “Blood Meridian,” a tale of American mercenaries hunting Indians in the Mexican borderland. Commercial success came later with 1992’s “All the Pretty Horses,” a National Book Award winner and the first installment of a Border Trilogy. Critics delved into his detailed vision of the West, his painterly descriptions of violence, and his muscular prose stripped of most punctuation. The writer himself, however, has proved more elusive. He won’t be found at book festivals, readings and other places novelists gather. Mr. McCarthy prefers hanging out with “smart people” outside his field, like professional poker players and the thinkers at the Santa Fe Institute, a theoretical-science foundation in New Mexico where the author is a longtime fellow. 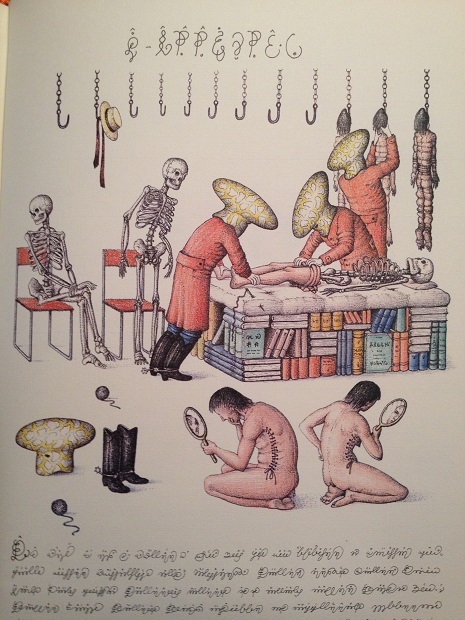 In October Rizzoli will be republishing what is regarded by many to be the strangest book in the world, the Codex Seraphinianus. The Codex is unlike other historically well-known strange books (such as the Voynich Manuscript), in that the author of the book is not only known (Luigi Serafini is his name), he’s still alive. But the book is just so damned strange that it has accumulated a veritable industry of speculation about its meaning, deeper origins, and whether the language in which it is written actually has any syntax or not. Serafini has said relatively little about it himself over the years, and denies that the script has any meaning, but no one really believes that, including me. The latest thriller from The Da Vinci Code author Dan Brown is expected to be the best-selling book of the year. But that has not stopped literary critics from gleefully tearing Inferno apart. 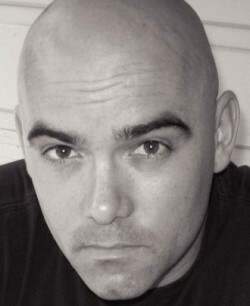 Brown discusses his “hurtful” reviews, taking inspiration from Dante and why he thinks readers should worry about the novel’s central theme of global overpopulation. “Bilge”, “noxious malarkey” and “entertaining twaddle” are just some of the choice phrases that have been picked to describe Dan Brown’s Inferno in the press. It is no surprise that Inferno has been met with such a reception. Since The Da Vinci Code was published a decade ago, Brown has been the author that the literati love to hate. But nor is it a surprise that Inferno immediately shot to the top of best-seller lists, had the highest number of pre-orders since JK Rowling’s The Casual Vacancy and is odds-on favourite to be 2013’s biggest-selling book. Brown’s enthralling yarns, which intertwine plausible-sounding conspiracy theories with life-or-death treasure hunts and the resonating weight of art history, are incredibly popular. Before Inferno, Brown’s five novels had sold 190 million copies. Of anywhere in the world, he says his books get the worst reviews in the UK, where it “seems to be sport to kick me around a bit”. Born in 1973, Niq Mhlongo is part of a young generation of black writers who depict their country without concession. In a casual style made of humour and powerful dialogues, Mhlongo never hesitates to tackle the heavy issues South Africa is plagued by – joblessness, AIDS or latent racism to cite only a few. 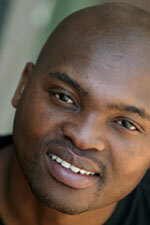 A prize-winning author, Mhlongo has authored a number of novels, including Dog Eat Dog, which was translated into Spanish under the title “Perro Come Perro “in 2006, winning the Mar des Lettras prize. His latest novel Way Back Home which has just been published by Kwela Books, reads as a fierce critic of the corruption of the South African elite. In this interview with Africa Book Club, Niq Mhlongo talks about his literary endeavour, today’s South Africa and the expectations that lay on the shoulders of young black South African writers. 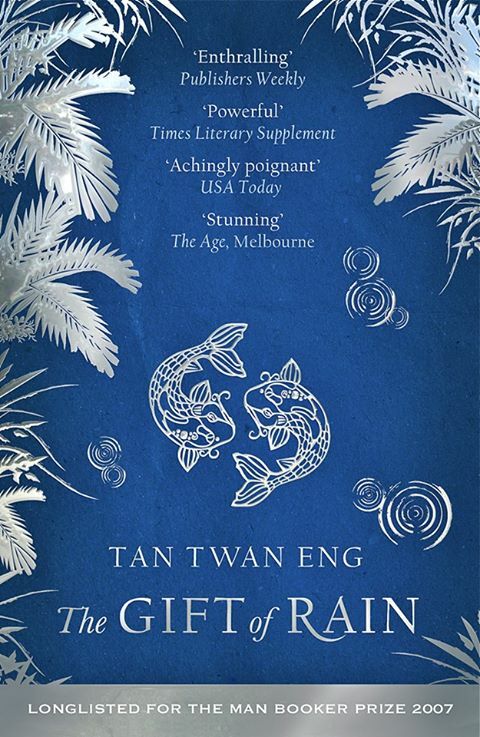 Tan Twan Eng’s first novel was long-listed for the Man Booker Prize, his second was shortlisted and then won the Man Asian Literary Prize. To say that his work over the past five years has received praise and attention would be something of an understatement. Likened to Ishiguro and Ondaatje, his work explores the point at which untold personal history collides with the bellicose history of mid-twentieth century East Asia. In The Gift of Rain the elderly Philip Hutton is living out his days as a postcolonial remnant in his childhood home of Penang, with little but his memories to keep him company. These are revisited with arrival of Michiko, the former lover of Japanese diplomat Hayato Endo, with whom Philip had developed a strong relationship in the 1930s. Their relationship is jeopardised when loyalties of family, nation and martial arts clash as the Japanese come to occupy Malaya in 1941. His second novel, The Garden of Evening Mists similarly looks at the Japanese occupation of Malaysia. Christopher Bryant talks to Patrick Ness about his new novel The Crane Wife and how there’s a danger that social media can silence all but the loudest voices. Patrick Ness is the author of six novels, and one collection of short stories. His remarkable Young Adult series, the Chaos Walking trilogy, has won a litany of prizes. His latest novel, The Crane Wife, tells the story of what happens to George, a man adrift in his 40s, after he saves the life of a crane shot through the wing with an arrow. The following day a mysterious woman, Kumiko, enters his life and she changes it, as she changes the lives of his daughter Amanda, and his employee Mehmet. It is a book about how we communicate, as well as how we fail to communicate, and how art can articulate our dreams about what is possible. I talked to Patrick about the folk tale that inspired The Crane Wife, the plans to film the Chaos Walking trilogy, his opinions on the good and the bad of social media, and his upcoming Young Adult novel More Than This.